Everett and Alissa were married in May in the historic United Methodist Church in Ashland, Oregon. 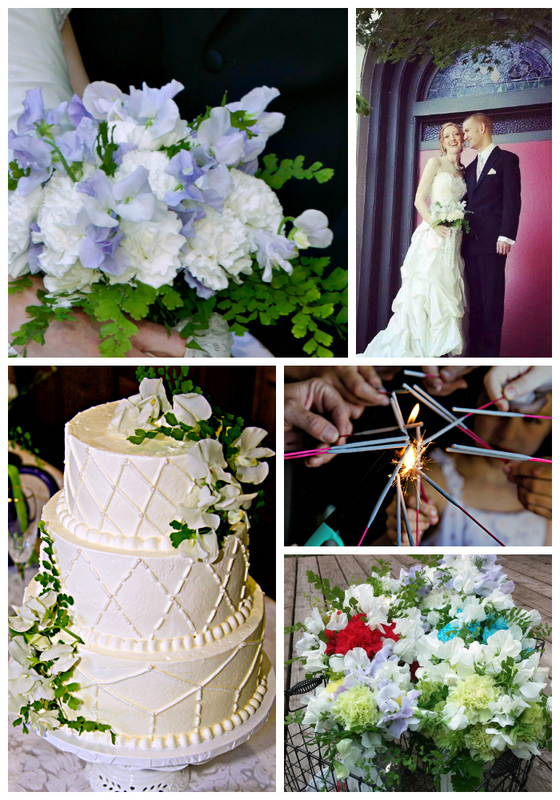 Alissa loves carnations and wanted her flowers to provide colorful accents to their joyful wedding. Her bouquet featured white carnations with blue sweet peas and each bridesmaid bouquet featured a different color of carnation with white sweet peas. I have had the pleasure of knowing Alissa for several years prior to her wedding and she is one of the most joyful people I know. Colors: White, blue, green, and red. Flowers: Carnations, sweet peas, and ferns.